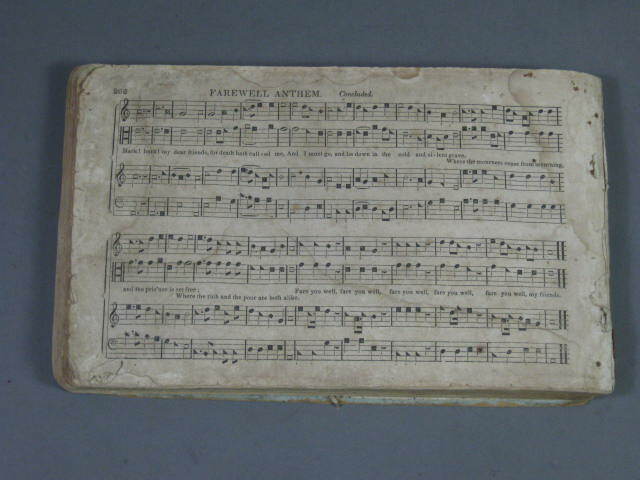 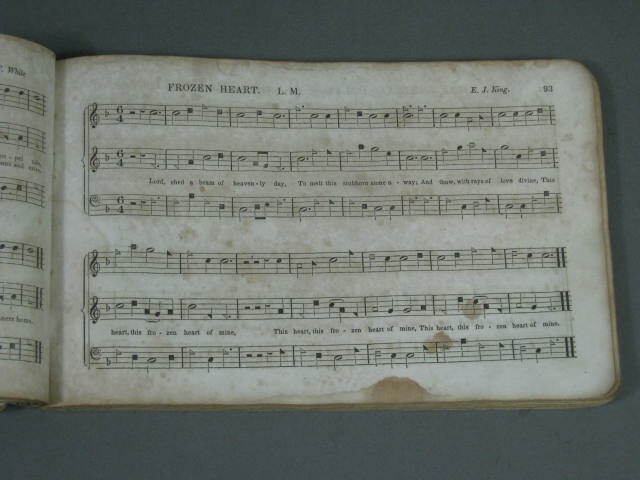 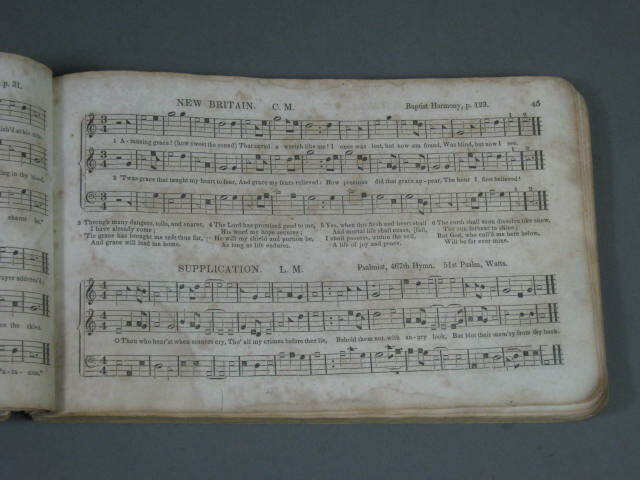 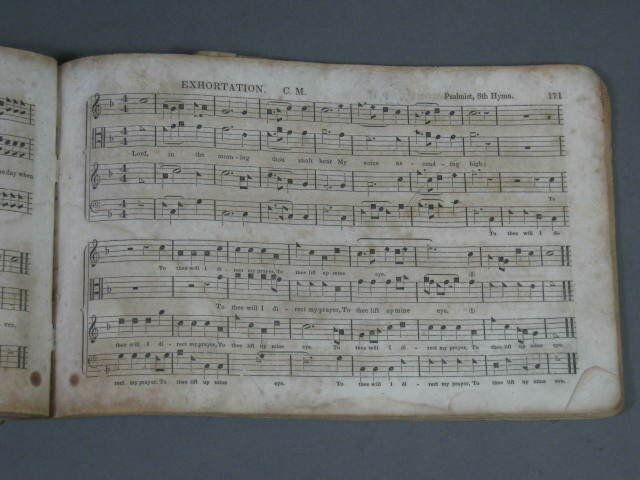 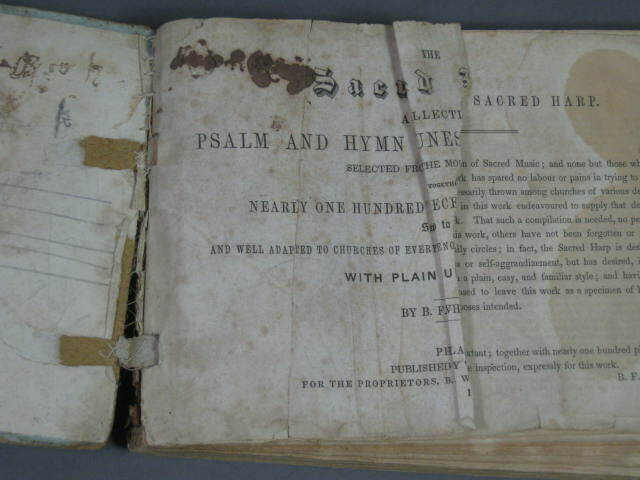 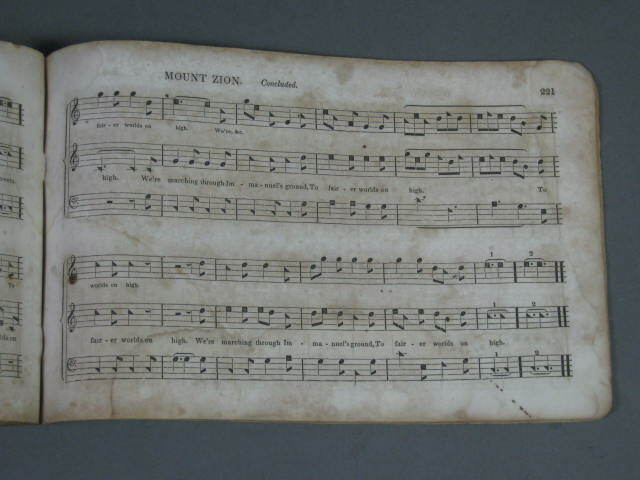 This listing is for a rare Antique Sacred Harp Music Book. 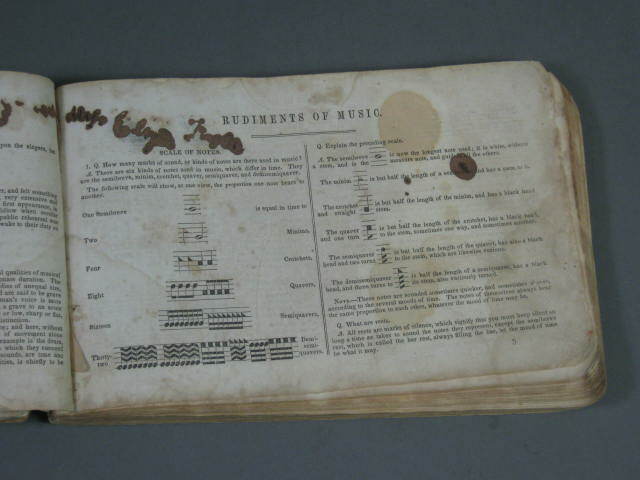 It was published in 1847 by Collins in Philadelphia. 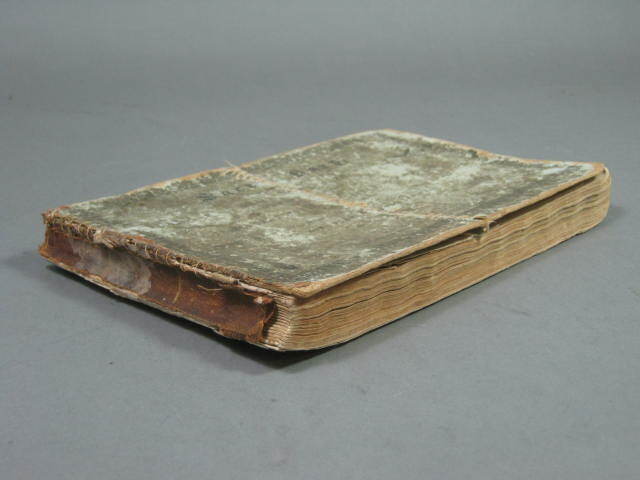 The book is in fair overall condition. 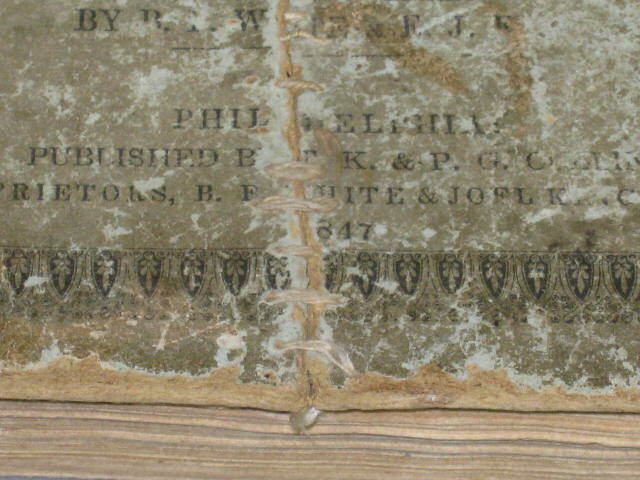 The cover has been hand stiched to the binding and down the middle. 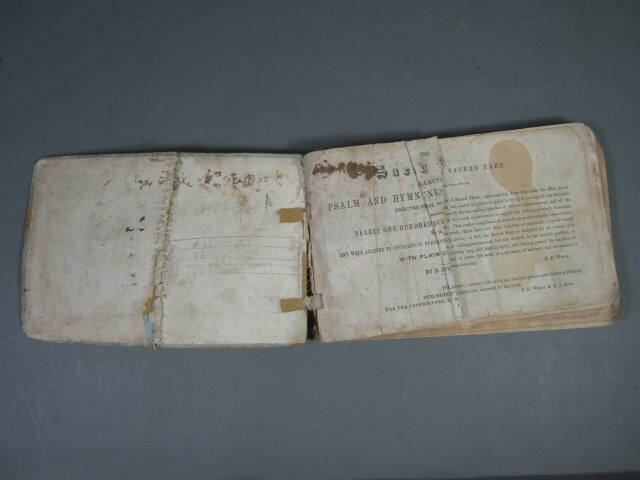 The book is missing half of the first title page, as well as the back cover. 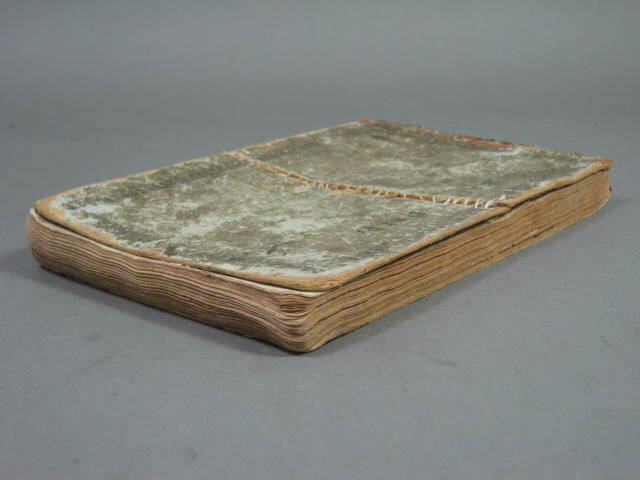 There is some writing inside the cover and on several pages. 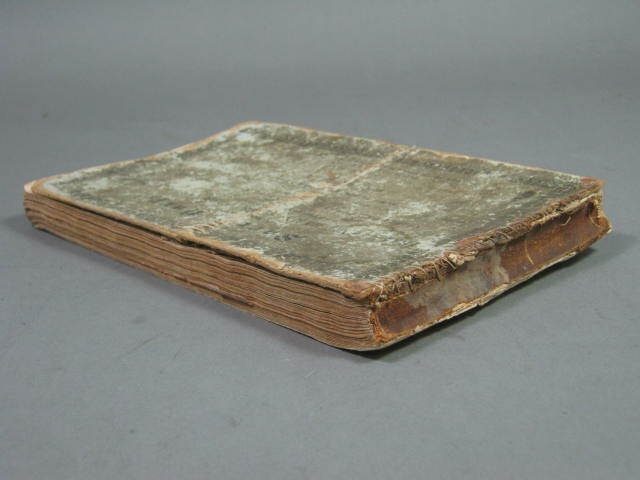 We did not flip through to inspect every page. 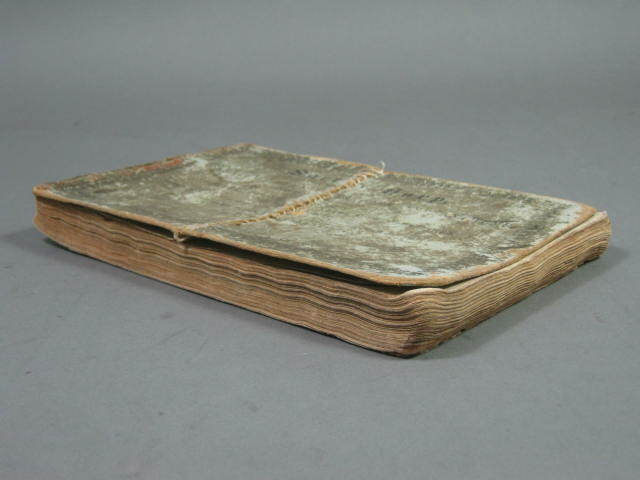 The last page in the book is #262. 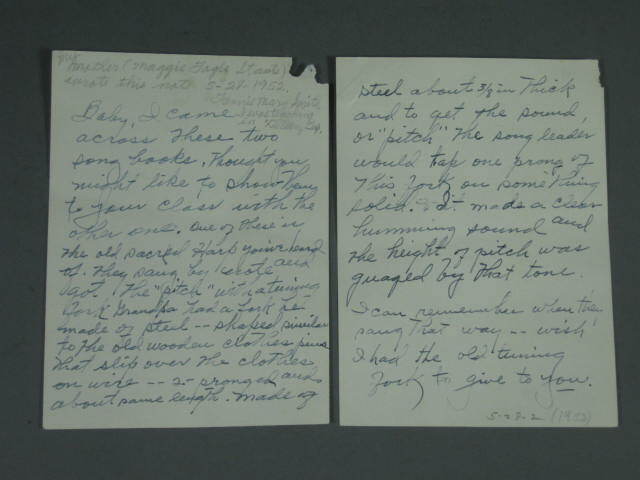 We are not certain if any pages are missing, There is a note handwritten by the sellers mother in 1952 talking about the sacred harp style of singing and how grandpa had made his tuning fork from a piece of steel. 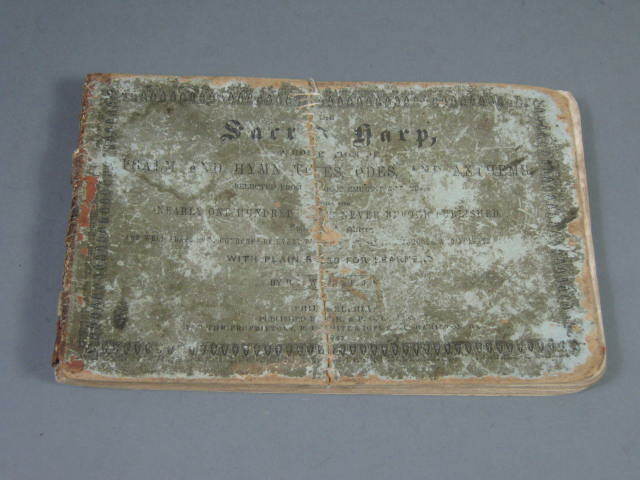 We have a low opening bid price, so don't miss your chance to win!